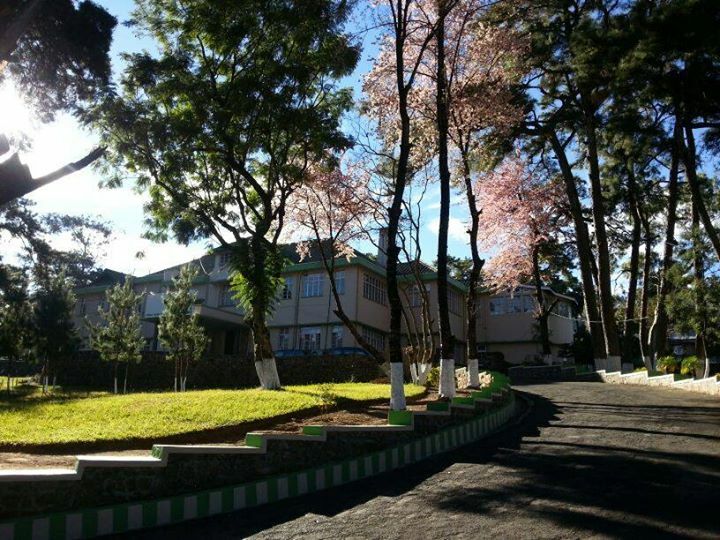 IIM Shillong, the campus in the clouds, the decision to choose this institute for my management studies was an easy one. The institute is known to be involved in the local social development programs and giving back to the society, which I found to be unique for a b school. I had never visited North east before and I was expecting to find a completely different and if I am to be blunt, alien life out here. I was wrong. We were welcomed amiably by our seniors, so much so that they were present to help us with the enormous luggage we had gotten with us for this life away from home. There were people from all over the country, and everyone seemed to be brought together by some common sense of purpose. A family away from home, I could see what that meant. The presumptions about b schools having huge competition, to each his own, the enormous workload, everything seemed irrelevant by the 3rd day on this campus. After almost a week, my roommate fell sick and she was bed ridden, I had to step out for some time, since I still had my classes to attend. When I came back two hours later, someone had gotten her food, medicines, and there was an extra blanket on top of her. She was so sick that when she woke up, she did not even know who had come into the room. People know each other for years and yet I cannot say that they would do so much for each other as they started within a week of being on this campus. The atmosphere and the pedagogy of the institute is simply impressive, and I have not felt like I am away from home yet. I would like to work for Aditya Birla Fashion and Retail Limited, since the ABG group has one of the best brand management in the fashion sector in the country. The names Allen Solly, Loui Phillipe, Van Heusen, Peter England and other are brands of their own and people look forward to them for quality branded apparel. Each one has very specific and focused branding and I would like to be a part of this venture. It would be a great opportunity to learn the different aspects of marketing involved, also I would be interested in acquiring the required skills and contributing to the further development of this company.